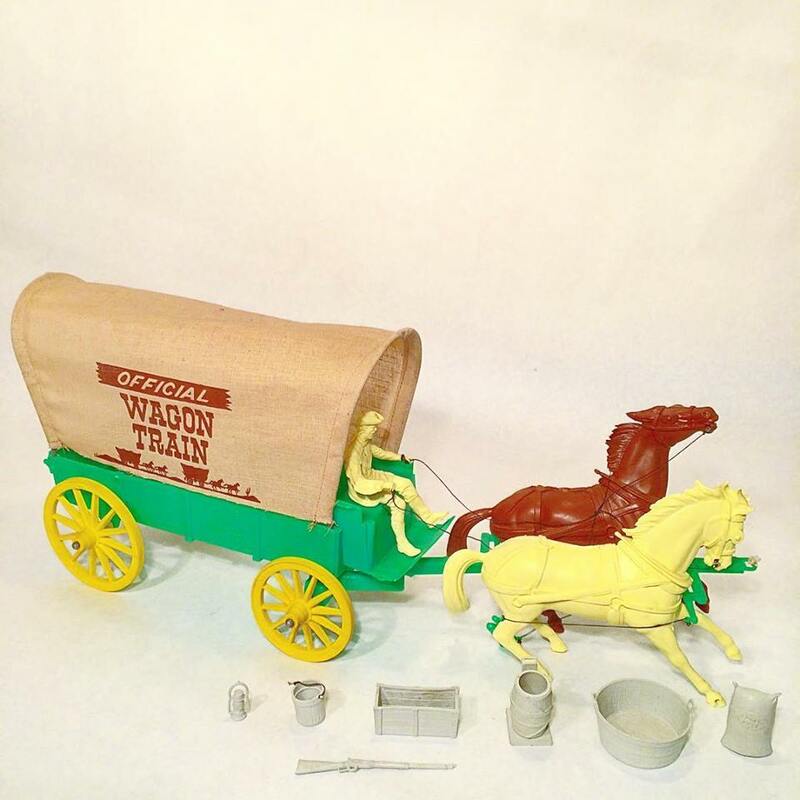 This is about as classic as American toys get, encouraging kids to play with these “unbreakable” polyethylene pieces and romanticize the pioneer spirit of the Old West. The original box it comes in is equally cool too, with its old timey graphics and screen printed imagery. 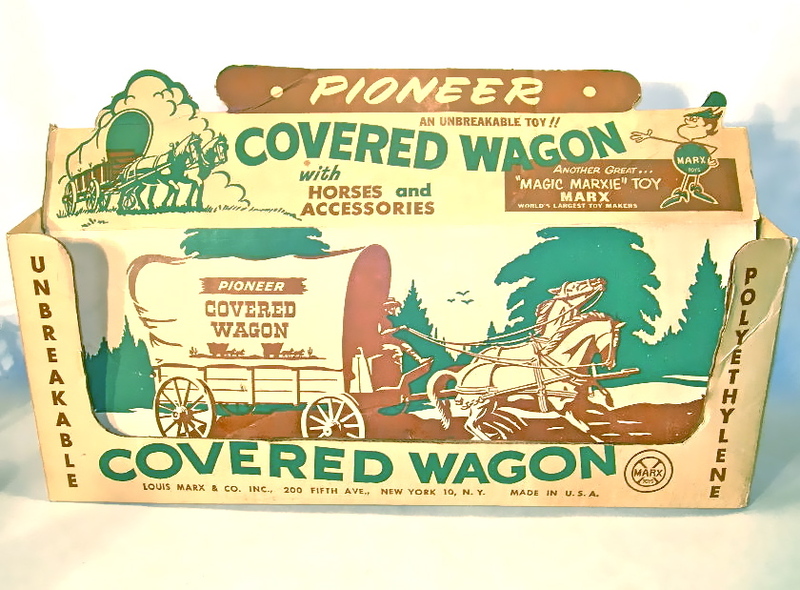 Included in the set is a covered wagon, driver, 2 horses, plus a lantern, rifle, pail, trough, barrel, washtub, a sack of flour, and the original box. One of the shafts is broken which would otherwise connect the horse to the wagon, but the rest of the set is in excellent condition.